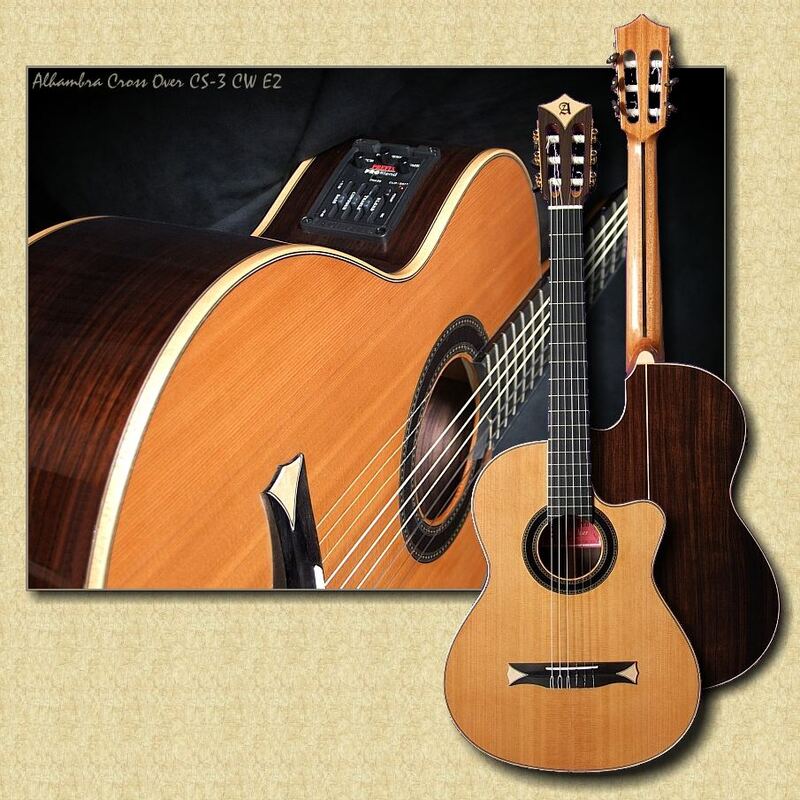 Initially, Alhambra custom-made a small number of “crossover” nylon strung guitars at our request, specifically for our store. 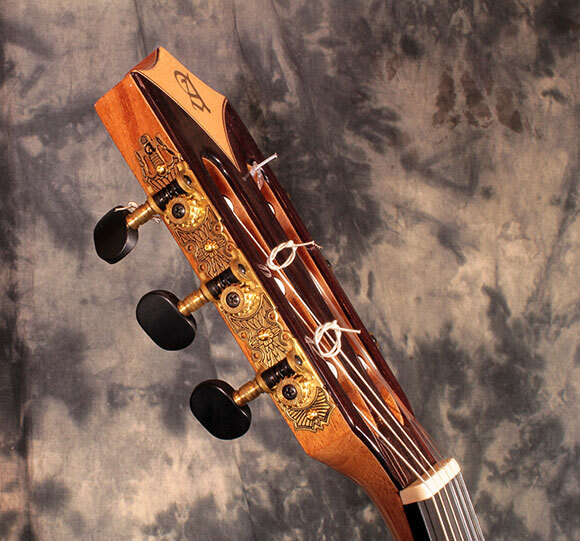 We have a lot of studio and jazz players who need that nylon string tonality for Latin music recording projects and live performance applications, but feel uncomfortable with the regular two inch wide nut and flat fingerboard typically found on classical guitars. The success of our custom crossover guitar prompted Alhambra to officially add this new Alhambra Cross Over CS-3 CW E5 to their catalogue. 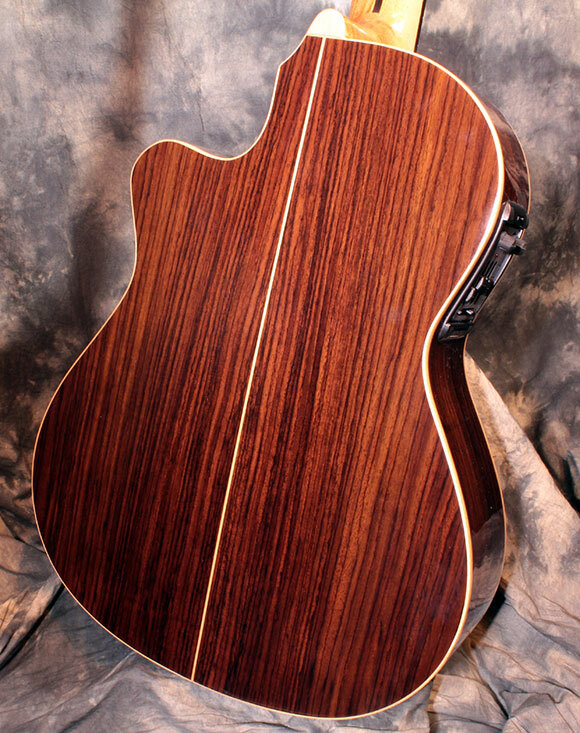 This handsome instrument features a comfortable 1 7/8 inch nut width on a radiused ebony fingerboard, scooped neck heel and cutaway with excellent access to the upper registers, all solid wood construction and the Fishman Prefix Premium Blender pickup/mic/preamp system! 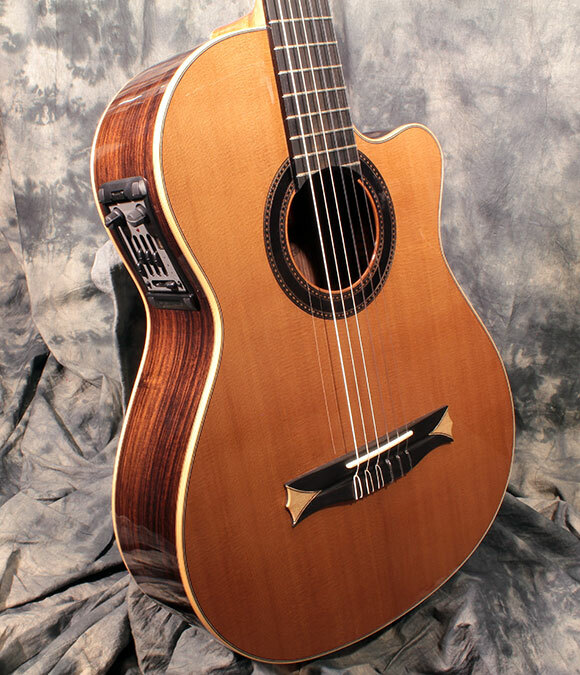 This instrument is also available as an E2, with a Fishman Pro Blend pickup/microphone system. 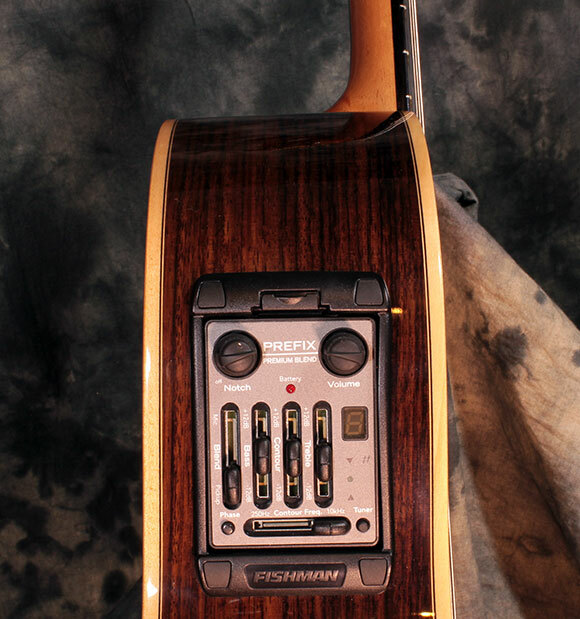 Hardware – Fishman Prefix Premium Blend mic/pickup/preamp E-5 system. Gold tuners with black buttons. A ‘Euro’ hardshell case is included. 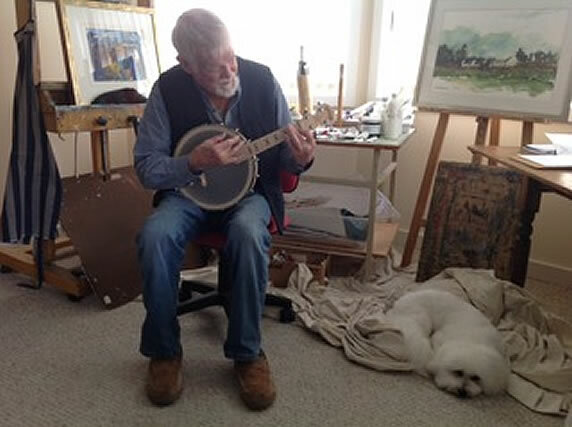 Here is a short video of Grant MacNeill and Gordon O’Brien reviewing the Alhambra crossover models. Pricing: $2259 Canadian dollars with case, or $1778 US Dollars (based on 1.27% Exchange Rate. NOTE: Exchange Rates Change Daily.